Buy E by Espinosa Bundles Online! Upon entering the cigar industry in 2012, Espinosa Premium Cigars was quick to gain attention, releasing a string of value-priced blends that were noticeably of a much higher quality and flavor output than comparable offerings of the time. Cigars such as E Doble and La Zona made use of simplistic packaging and quality ingredients to deliver classic, easily approachable experiences with a modern twist! In the years following, Espinosa has carefully expanded their portfolio to include premium experiences at a wide range of price points (including favorites such as the ultra-premium Las 6 Provincias LHB), yet the company's core ethos of "high value" remains. 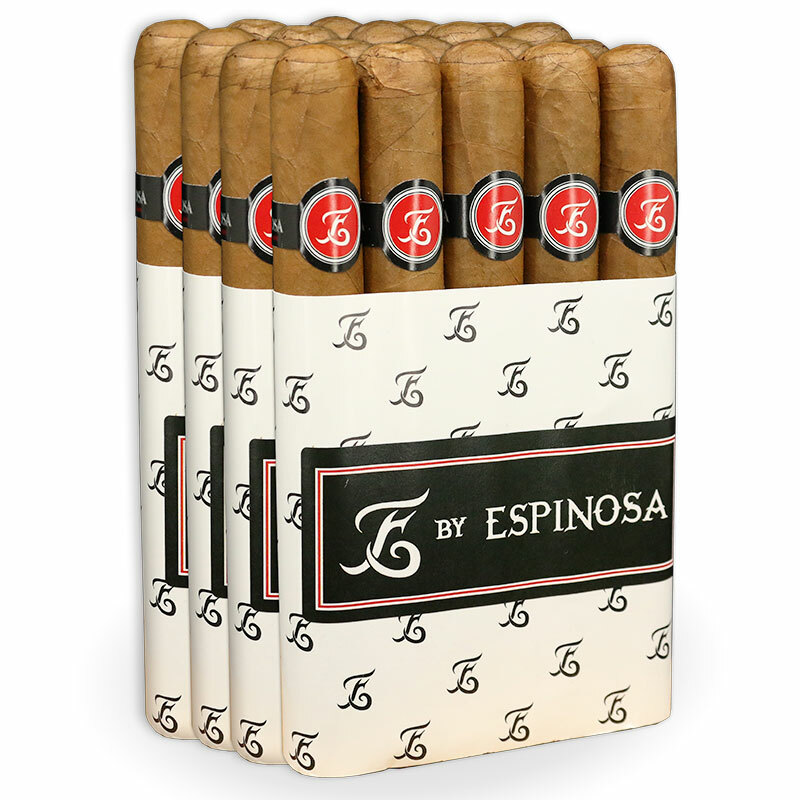 E by Espinosa is the latest evidence of this approach, with Espinosa heading back to the drawing board to build a Nicaraguan-based blend in either Habano or Connecticut Shade wrapper variations. E by Espinosa is simple, straightforward, and above all, dependable. This is a cigar you can light up while fishing, mowing the lawn, or watching the game with friends. And with the La Zona factory's signature attention to detail and quality construction, E by Espinosa boasts a level of craftsmanship of cigars more than twice its value. Smokers can expect a mild body with the E Connecticut, showing notes of buttered crackers, barnyard hay, black tea, and honey. The E Habano, meanwhile, offers a more Cubanesque experience, showing leather, cedar, brown sugar, and fresh-roasted coffee.